Check the status on the system first. Send a police alarm. Press and hold both POLICE buttons for 2 seconds. Send an auxiliary alarm. 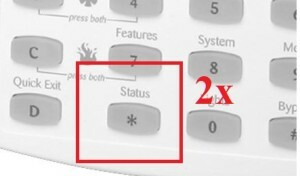 Press and hold both AUXILIARY buttons for 2 seconds. Send a fire alarm. Press and hold both FIRE buttons for 2 seconds.